Formed in the early 1980s by independent wholesalers, distributers and manufacturers of fishing tackle, AFTA has a long history of protecting fishing’s future. With over 3.4 million recreational fishers currently in Australia, there is a lot to protect. We are dedicated to ensuring a strong future for recreational fishing and the fishing industry, advocating on behalf of our members on several key issues, including marine parks and supertrawlers. As well as supporting sustainable angling, we are keen to promote recreational fishing as a family sport in which all Australians can be involved. 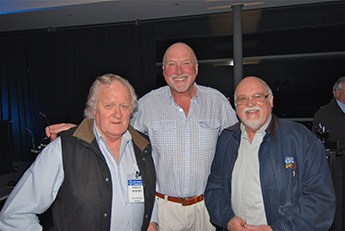 Our commitment to advocating for recreational fishing in Australia has led to us becoming the peak body representing Australia’s fishing tackle industry. AFTA is now recognised by state and federal Government as a major stakeholder and strong voice when it comes to fishing issues and policies. At AFTA we work with the industry, for the industry, and for the future of fishing for all Australians.